Question: Bersatu has taken in three former Umno members of parliament and it looks like the party is going to accept more (into its fold). What is the reason behind this (in accepting former Umno members)? Answer: You cannot condemn all Umno members because of mistakes made by their leader. Some are committed (to the party’s cause), some are not. These people (who were accepted into Bersatu), they are followers. We are not keen on taking in the leaders. Some of the followers followed because they did not participate in formulating Umno’s policies, nor did they lead Umno. They are ordinary members. They were chosen to become candidates (in the last general election) and they won. 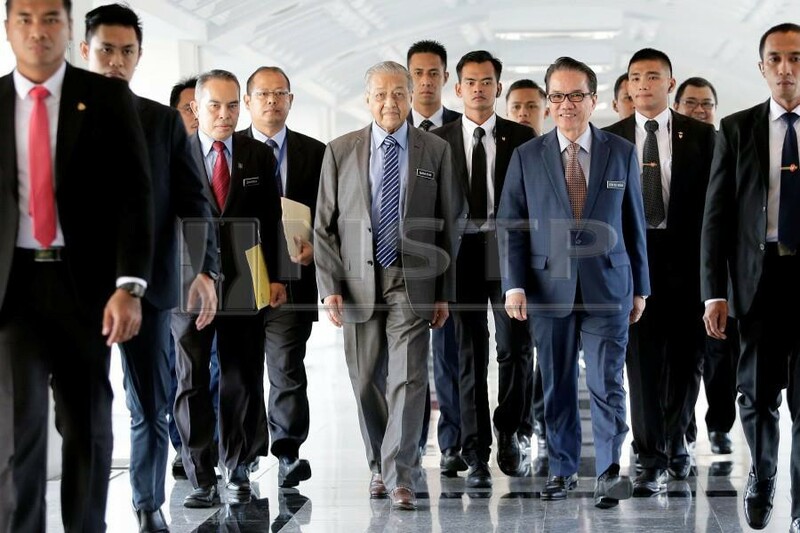 Now, they have seen the accusations levelled against (Datuk Seri) Najib (Razak), and they realised that Umno was no longer the party that it was. He (Najib) no longer champions the principles Umno was founded upon. So they want to leave (Umno), but they are still interested in politics. Some of them had met me and they gave their undertaking that they wanted to join Bersatu, but would not seek any positions in the party. They will neither hold any positions nor become candidates in future elections. And we told them to join Bersatu with these conditions. Number one, you must leave Umno. You must become an independent for a short time. During that time, you must show that you are supportive of the Pakatan Harapan government. Only then can you apply. Or you can apply earlier. The application will be considered only after we have observed their conduct. As you know, in the last election, many Malays supported Umno. The party was still popular in the eyes of some Malays. These Malays must be drawn out because if they support Bersatu, the party will become strong, PH will become strong. So that is our position. We are not taking leaders like… you know, there are two or three names that I can mention. No way those leaders can come in. There are cases against them. They will have to face the court. But we are not accepting them. We accept leaders who are not implicated and those who have not shown very strong support for Najib. And you know, some of them had, in the past, cursed PH and called me names. These people, we cannot accept. You can come freely into Bersatu. They have to be scrutinised to see whether they are qualified or not. Q: The concern among PH supporters is that these former Umno members will bring the “rot” into Bersatu and PH. How can you ensure that this will not happen? A: No (laughs). The leaders will not come (and join Bersatu). These (former Umno MPs) are followers. And these people know that Bersatu’s leadership is not easily influenced. The Bersatu leadership actually came from Umno. But these are the Umno people who have their own minds. They are not going to be influenced by others. Q: Have the other members of PH voiced their concern to you (over the cross-overs)? A: Yes, they are concerned. We are concerned, too. We do not want to give the impression that Umno is taking over Bersatu or any other party in PH. But we are serious about vetting these people. They want to come in. I think that in the kampung, they (Umno) are still influential. If we reject them, then we may be rejecting voters. They can bring in some voters and I think it will strengthen Bersatu and PH. Q: Is this part of PH’s strategies to obtain a two-thirds majority that it needs (in Parliament)? A: Yes. Personally, I do not like a two-thirds majority. I want a strong opposition. But as you can see, the opposition is totally shattered. Everything has broken down. MIC is not functioning, MCA is not functioning, (the parties) in Sabah, they are not functioning. Umno has split into so many parts. Some want to remain in Umno, some want to leave, some want to give up politics. So, there is no credible opposition at this moment. When I was in the government before or in BN, I used to say we need an opposition. Because without an opposition, it is akin to not having a mirror. You think you are very beautiful but actually, you are very ugly. Q: Datuk Seri Nazri Abdul Aziz had previously said that he could not negotiate with you (on a Bersatu-Umno cooperation), and so he went to see Datuk Seri Anwar Ibrahim. Are you concerned with this power play, in order to curry favour with you and Anwar? A: No, it is up to them. If they want to see me, I’ll see them. If they want to see Anwar, they can see Anwar. They can see anybody. This government does not prevent you from talking (to anyone). Q: As Bersatu heads towards its second general assembly, what is your take on where the party is heading today? A: See, in the last election, Bersatu did not do so well. We only won 13 seats. That is because we were de-registered by the then government. And we had to contest under the PKR flag. In some places, people did not understand that the candidate was from Bersatu although the logo (he or she was contesting under) was PKR. So they thought it was PKR. Maybe because of that, they did not vote for us. So we lost a lot of seats. In Kedah, for example, we should have won more seats, but we didn’t. 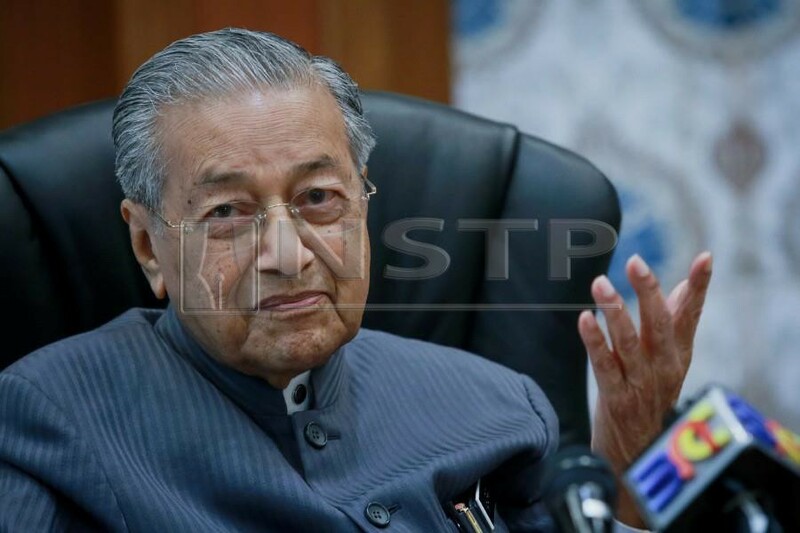 Apart from the places where I was contesting, which was Langkawi, and the constituency (Bersatu deputy president Datuk Seri) Mukhriz (Mahathir) was running in, the people were unsure who was running in the other constituencies. Were they from Bersatu or PKR? So we lost. So now, we are no longer de-registered. We are a registered party. We can display our flags, we can show our logo. But when it comes to contesting, we will contest under PH. And PH now has its own logo. In GE14 (14th General Election), PH had to use the PKR logo and flag because it could not be registered. You see, Najib’s government’s idea was that anyone who was opposed to them would not be registered, or would be struck off. Q: You mentioned that you would remain as prime minister for two years or more. Upon stepping down as PM, will you remain as Bersatu chairman? Do you have a succession plan? A: No. I can still be Bersatu chairman (laughs) because I am still a member of parliament. But I am not going to (remain as) prime minister. Q: What is your evaluation of the Bersatu leadership and its cabinet members? A: Well, I must admit that although we won only 13 seats in the cabinet, we have the same strength as other parties. We (only) have six cabinet members. They are new. Many of them came to me for advice. Sometimes, they become very excited, they make statements which are not good for them or the party. But you don’t expect a new person to be an expert on the first day of the job. Some of them make mistakes, but we can correct them. Q: What will be your message to delegates during the assembly? A: We will tell people that we have actually put the government into a structure. Many people have yet to appreciate that. To form a government from five parties, working together in a cabinet, is not an easy thing to do. We were not originally united as one. I was an outsider (of PH) before I was accepted as prime minister. But the undeniable fact is that now, we have a government. It is a government that functions as a government. We have delegated tasks to each ministry and we have achieved so many developments that we have yet to announce to the people. Although it is difficult, today we have discovered that this government can function properly. We can go meet (with leaders of) other countries in Asean and Apec (Asia-Pacific Economic Cooperation) to negotiate with them. We can still work as a government despite the damage done by Najib. On finances, we believe that we can reduce the numerous debts, which amounted to more than RM1 trillion. That leads to the money that we have, which is being used to pay off the debts. When we paid off the debts, we do not have enough money to give out BR1M (1Malaysia People’s Aid) and such. (On that note) that is not our way. We will help the poor, but not through public handouts in exchange for their support. Q: You previously said that some Bersatu ministers at state and federal levels had not performed satisfactorily. Will there be a reshuffle after the assembly? A: (Laughs) Who are we comparing them with? With Najib? Do you want Najib to win? If Najib wins, what will happen to this country? There will be more debts, more damage, oppression, corruption and theft. No such thing is taking place. It is a success by Bersatu. We have not heard as many complaints about corruption (like before). There are reports here and there, but people are now free, they feel relieved. That is a success. We gave confidence to the people. They can do business, they can move about, they can be friends with anyone, they can talk to anyone. Are those not great achievements, compared with Najib’s? So if we want to compare, with whom should we (the government) be compared with? With the previous government? The previous government was different. We (the current government) are facing a lack of funds, but we manage to instil confidence even in foreigners, who have praised our achievements. Q: So… no cabinet reshuffle? A: No cabinet reshuffle. We will give cabinet members a chance to improve their performance. Q: Will Bersatu be reinvented as “Bersatu 2.0”, following the membership of former Umno leaders? A: Let Bersatu remain a Malay and Bumiputera party. Any Malay and Bumiputera can join the party, but of course, there are conditions. They need to subscribe to our ideology, which stipulates that we want a clean party, no involvement in corruption, and a willingness to dedicate themselves to the people and country. That is our aim. We can accept those who hold on to such principles. Q: What is Bersatu’s pull factor for youths? A: Youths see us as giving them a place. Never in the history of Malaysia has a 25-year-old been appointed as minister. That is a form of appreciation (from us to the youth). We have four women in the cabinet, never before in our history. We believe that youths have calibre. They can. They have the capability to hold discussions with foreigners and deliver lectures abroad. They do have a place in the party, more than what was reserved for them back then. Q: How will this year’s assembly, with you as prime minister, be different from your previous terms when you were with Umno? A: This party assembly has yet to be put in place. This is because the leadership of Bersatu has only been appointed. They were not chosen by their supporters from branches. We will hold an annual general assembly to change the party constitution so that we can set up branches, and the leaders from the branches will be chosen by its members of representatives. Then, we will have another assembly where delegates would be appointed by the branches. Only then will the assembly be proper. There has been a suggestion that each member be given the power to vote, but we found that such a system would lead to problems. Q: Has there been an increase in Bersatu’s membership? A: The membership is increasing, but we have problems with registering people. Sometimes, we have “weird” ones who registered themselves wrongly and ended up becoming new members. We need to make the system better. Q: Which is the best voting system for Bersatu? A: In my opinion, “one man, one vote” is rather difficult to implement. It is better if we adopt methods like Umno’s. But we have different criteria (in our selection process). Q: Umno was strong in BN due to its setup as the only party for Malay voters in the coalition. In PH, however, you have three vying for the Malay votes, including DAP, which technically, is a multiracial party. How does Bersatu fare in this situation? A: Umno was very strong upon its inception. Practically every Malay joined Umno and it was Umno which fought against the Malayan Union. But when we struggled for independence, the British insisted that we give citizenship to the Chinese and Indians, which we did. And on top of that, Tunku Abdul Rahman Putra Al-Haj gave one million citizenships, unconditionally, to the non-Malays. So the Malay element (share) in the citizenship shrank from 80 per cent to 60 per cent. Now, with 60 per cent, it is still in the majority. Unfortunately, Pas left Umno. The ulama in Umno left to form Pas, which used religion to draw out many Malays from Umno. Umno then had to depend on other parties. But, at the time of independence, we had already formed a coalition with MIC and MCA. So we had to strengthen the relationship between MIC and MCA. At that time, Umno was still strong because Pas somehow could only gather support in the East Coast. It can never form the government. So Umno became strong. 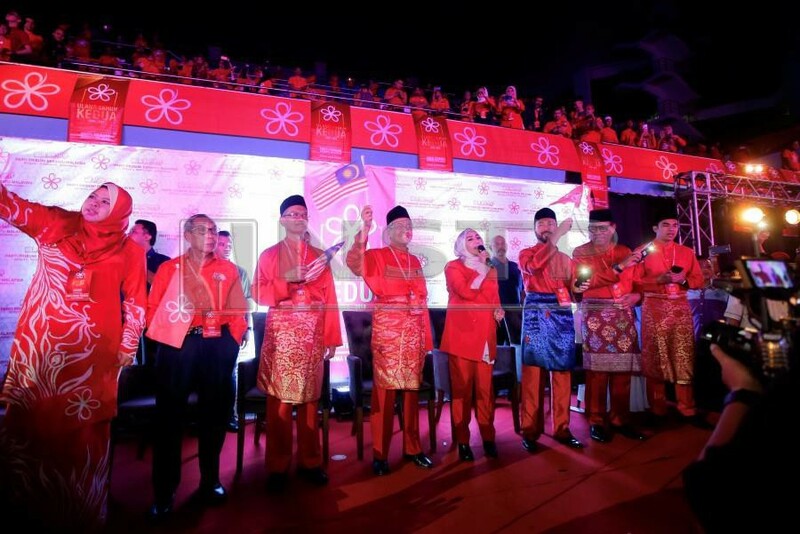 But later on, because of defections, because of expulsions of members and all that, Umno grew weaker. The Umno that I left in 2003 was still quite strong, with 90 per cent of the seats won by Umno and BN. But after that, the leadership went the wrong way and Umno lost support. I tried to be with them but couldn’t and I left the party. When Najib came, I rejoined the party… I thought I could strengthen Umno but again, Najib did the wrong thing and I had to leave the party. So, well, Malays should have one party, but the party has gone wrong. So we cannot persuade Malays to support that party so I had to leave and the only way to beat BN is to have another coalition. A new party of Malays will never be able to defeat BN. So this new party that we formed is joined up with the opposition because we had the same objective. The objective was to get rid of Najib. Q: In the system where there are multiple parties vying for Malay support, can Bersatu grow in strength to the same level that Umno once was? A: Well, the Malays want a party. They want a strong party. Bersatu is a Malay party. All the rest are multiracial. They (Malays) want to join Bersatu. If they don’t join Bersatu, where will they go? They can’t join Umno, because Umno is finished. So they have to join Bersatu because the Malays are scared, they feel threatened. They feel that they are small; they cannot get anything from equality, equal treatment in this country. So they are looking for parties (that can champion their interests). They cannot join PKR because they can’t accept a multiracial party. They cannot join Parti Amanah Negara, which is also a multiracial party. Certainly, they cannot join DAP… so what is their choice? Q: How long before you see Malays becoming self-sufficient and have confidence in themselves, instead of relying on a “crutch”? A: I hope it will not take long. What makes them successful or failures is dependent on their culture, their values. If we compare the Chinese with the Malays, the Chinese are hardworking, very dynamic, very knowledgeable. So they will succeed even without any help. Look at the country now. There is no longer Kampung Kerinchi. There is no longer Kampung Abdullah Hukum, no longer Sungai Penchala. The Malays have left the towns to live in the rural areas. Because they are poor and afraid that they will become even poorer. They are selling their land because they are offered good prices and later retreat to the rural areas. Then the rural areas become developed as towns. Again, they sell the lands and retreat until they are now on the fringes of the jungles. They are frightened… after that they will be in the jungle. So they want somebody to protect them and they believe that only Malays can do so. So they want this party (Malay-based) and if we don’t cater to them, we will not get their support, we will always be losing. Q: What are the challenges in changing the mindset of Malays who have been comfortable with the way Umno had done things? A: There are many things that we have done. We have to change our values in life and practices. But our values do not lead to success. We know that if we don’t have jobs, we will not have money. If we are not hardworking, we won’t be able to thrive. The Bangladeshis come to work here because of the perception that the Malays do not want to work. So if you do not want to work, then other people will. Our country has seven million foreign workers because our people don’t want to work. When I say that the Malays are lazy, they scolded me right back. But, that is the truth. There are those who do not want to work in restaurants because they have to stand around for eight hours as waiters. If we do not want to work, other people will come in, make money, and own the country. We cannot be mad at them. Nowadays, they want to work in a factory, in an air-conditioned place. But you have to learn and be hardworking. Q: There are claims that Bersatu has yet to meet the demands of the Malays. Will Bersatu become a party that upholds Malay rights? A: If it’s not Bersatu, who else? You can join Umno, but the people will reject Umno as a rogue party. Where will you go if not Bersatu? We are the only Malay party (in PH). If they want a Malay party, we have Bersatu. If Bersatu is not good, then make it good. If you know how, come join us and make it better. Q: Is affirmative action a reason that has allowed this situation to persist? A: Affirmative action implies giving opportunities, support and all that to the Malays. But they are the same Malays who have failed. We have introduced many policies and support, but they all failed. Because they don’t change the character of that person. Affirmative action is all about support but changing the character is something that we have to concentrate on. We have to realise that affirmative action alone is not a factor for success for the Malays, they must change their character.